Recycling is one of the best things you can do for our generation, and for all future generations to come. By doing your part to recycle whenever possible, you can help conserve materials, save energy, reduce garbage in landfills, clean up our environment, make new products from old products, and more. It is important to do your part to keep as many materials out of the landfill as possible. With fewer landfills, more of our land can be left to nature. By recycling an older vehicle, you can save a large amount of space in a junkyard or landfill. Rather than simply disposing of your vehicle, it can be reused in a number of new ways. It takes significantly less energy to recycle metal and aluminum than it does to produce it. Recycling something as small as one aluminum can save enough energy to run a TV for three hours. Each pound of steel recycled can also save enough energy to keep a light bulb lit for 24 hours. By saving energy, we can help reduce the future effects of global warming. Recycling reduces the need for mining, prevents habitat destruction, and helps prevent soil erosion. By reducing the need for new materials, you can help save our environment and reduce greenhouse gases and air and water pollutants. 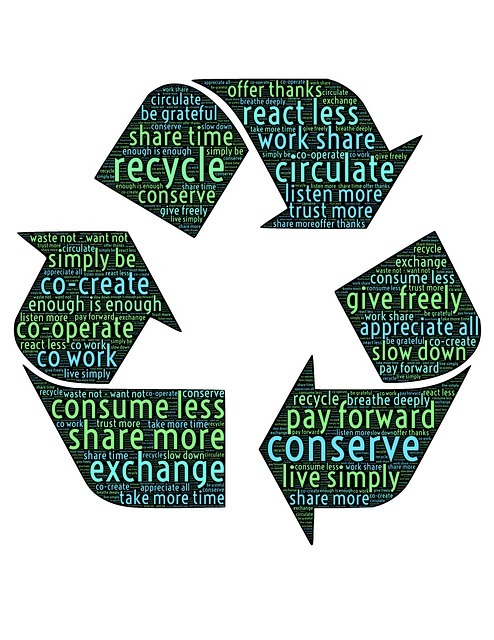 Recycling also helps stimulate the development of greener technologies and new product innovations. Recycling more will also create more jobs because for every job created in waste management, there are four jobs created in the recycling industry. Recycling your junk car is one of the easiest ways to make a large impact for our environment. However, every bit of recycling makes a difference, and the more you recycle, the greater the impact will be on our environment. So start recycling your paper, glass, plastic, and metal materials today, and ensure a better future for tomorrow. Don’t let your old family car go to waste; it can be reused in a number of different ways, and you can make money from it in the process. Once you have sold your junk car for quick cash, you can invest in a reliable new vehicle, or make a larger impact on our environment by investing in an eco-friendly car or electric car. Your area may also offer convenient public transportation options, which can save you money and further your environmental efforts. As members of the Automotive Recyclers Association, we take pride in recycling and reusing any valuable parts, materials, and scrap metal found within the junk vehicles we purchase. Contact Messy Motors at 888-309-1049 for more information on our green efforts or to schedule prompt free towing services in your area.